The press has carried a number of accounts of what is happening to Martyn Percy. As Martyn has made no public comments, here are summaries of three reports. It appears therefore that Martyn’s position is a uniquely powerless one. It takes just seven complainants under the statutes of the college to request a tribunal to remove the Dean of Christ Church. Three strange steps appear to have led to this position. First, the Dean was offered no proper investigation, at which evidence from both sides could be heard, read and weighed. Second, there was no disciplinary hearing in which he could defend any allegations made against him. Third, to avoid unnecessary conflict, processes of genuine mediation should always happen. Such mediation is entered into in good faith by both parties - rather than being used as a means to coerce and expedite a virtually immediate resignation, which is increasingly common in workplaces today. In any normal place of work, a Tribunal would be the very final stage: and only if the investigation, disciplinary procedures and mediation had all failed. In Martyn’s case, the first three stages did not fail: it seems they were not really attempted. Under the college statutes, the Dean has no grievance procedure available to him either, so he can’t complain about the treatment give him. Consequently, he can do nothing about the bullying and harassment he has received. Under natural justice any person should have rights. But the Martyn doesn’t. Finally, the Dean seems to have no right to free speech. To defend himself, he has to find his own legal costs. His speech is not free. If you think this is unjust, then please help the support fund. The Tribunal at which Martyn, as the Dean of Christchurch, is to defend himself against allegations of “immoral, scandalous and disgraceful behaviour” is scheduled for later in June and July. This will be the first occasion the Dean will be allowed to address the complaints made against him, which were raised in September last year. 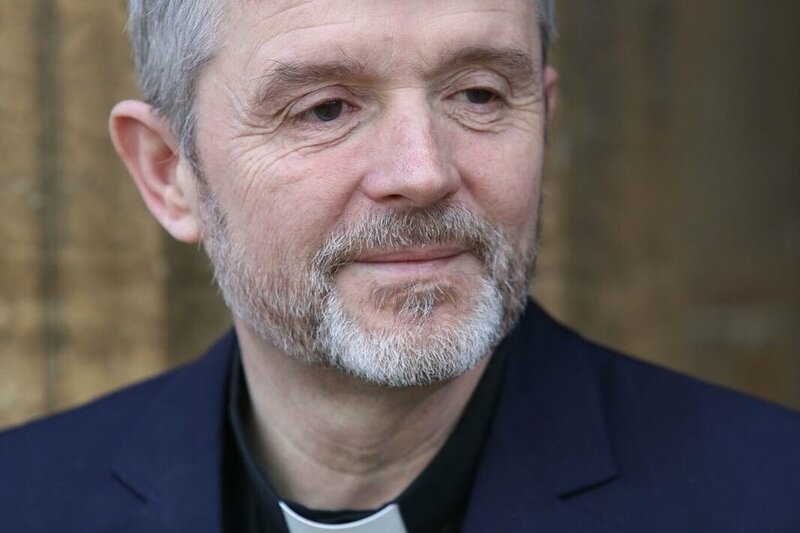 Martyn has been granted Permission to Officiate licence by the Bishop of Oxford – confirming him as a priest of good standing, and a person of integrity and probity – he has resumed preaching and teaching engagements. Martyn has been attached to the parish of Blackbird Leys since January, working with the Vicar, Heather Carter. He is there almost every Sunday from now on, and will help to cover Heather’s forthcoming sabbatical, which ends in the summer. Martyn continues to write, and the recent SPCK Study of Ministry: A Comprehensive Survey of Theory and Best Practice is just published. The recent lectures in Yale, Liverpool and Bologna are now in press with the relevant journals. 12th April	Seminar with Virginia Theological Seminary. 25th April	Examining at University of Exeter. 26th April	Examining at King’s College, London. 17th May	Said Business School, Ethics, Economics and Mutuality Seminar. 20th May	London - Seminar on Writings and Work of Wesley Carr. 26th May	Baldock, Hertfordshire - preaching. 1st June	Law and Minority Religions Conference, King’s College London. Sundays throughout, unless otherwise specified, are at Blackbird Leys. Martyn remains very grateful for the support and kindness of all those who have sent messages, donated and helped in other ways during this time. It is profoundly moving that more than 600 people have now donated to the fund, and Martyn and Emma have received over 1800 cards, letters and messages of support from all quarters. Thank you! Having taken some further soundings recently, you will see that it was decided to revise the target. This is due to a number of factors. First, the amount of additional work involved in the case is inevitably incurring additional costs. Second, a number of people have indicated that they wish to continue supporting, and there are also new donors wishing to contribute. In view of this, the target has been revised. As before, Martyn remains immensely grateful for the kindness and care shown by all the donors and supporters, now numbering over 600. We will continue to provide everyone with regular periodic updates on Martyn's diary of engagements over the coming months. Thank you to one and all who have come to lectures, sermons and seminars he has given recently, to further show support. This is enormously appreciated. What follows is the next monthly update. Despite the Governing Body claims of “immoral, scandalous and disgraceful behaviour”, the Bishop of Oxford confirmed that the complaints would not require investigation under the Clergy Discipline Measure, and that the dispute was about governance. •	Sunday March 3rd – Church of the Holy Family, Blackbird Leys. •	Monday March 4th - Thursday March 7th - Martyn is speaking at the European Academy of Religion (to be held in Bologna), on religion and politics in the USA; on ecclesiology; and on ecumenism and justice. •	Sunday March 10th – Church of the Holy Family, Blackbird Leys. •	Tuesday 12th March – attending the British Board of Film Classification, London (Martyn is a member of a vetting panel). •	Tuesday 12th March – speaking at Finchamstead and California parishes, commencing Lent Lecture Series. •	Thursday 14th March – lecture for Worcester Theological Society, 2pm: “Faith and Culture”. •	Sunday 17th March ¬¬– Preaching for St. Giles, Oxford. •	Monday 18th March to Friday 22nd March – Writing. •	Sunday 24th March - Church of the Holy Name, Blackbird Leys. •	Wednesday 27th March – Lecture for the Oxford Liberal Democrat Group on Politics and Religion in the USA, 7pm. Once more with thanks for your generosity and good wishes. As promised, here is a further update on events concerning Martyn and the progress in setting up the Tribunal. Despite the College claiming that the conduct of the Dean amounts to “immoral, scandalous and disgraceful behaviour”, the Bishop of Oxford confirmed last year that the complaints would not require investigation under the Clergy Discipline Measure, and that the dispute is about governance. The Tribunal at which the Dean is to defend himself is now scheduled for June and July. •	Martyn preached for Candlemas at Trinity College Chapel, Oxford, at Evensong on February 3rd. •	Thursday 7th – evening: attending Guest Lecture and Dinner at Green-Templeton College. •	On Saturday February 9th – hosting/facilitating a day for the Church of the Holy Family, Blackbird Leys (see: http://www.holyfamilybbl.co.uk/). •	On Sunday February 10th – Martyn is preaching at Saint Michael and All Angels, Lambourn, Berkshire at 10.30am (Eucharist). •	Tuesday 12th February – Bampton Lectures, University Church (see: https://www.universitychurch.ox.ac.uk/content/bampton-lectures-2019). •	Thursday 14th February – Sociology of Religion lecture (Faculty). •	Sunday 17th February – “In Conversation”, noon, University Church. •	Tuesday 19th February – Bampton Lectures, University Church (see: https://www.universitychurch.ox.ac.uk/content/bampton-lectures-2019). •	Thursday 21st February – Sociology of Religion lecture (Faculty). •	Sunday 24th February – 11am, Chapel Service at Harris Manchester College, Oxford. •	Sunday 24th February, 5.30pm – preaching the University Sermon on “The Grace of Humility” as University College. •	Monday 25th February, evening – Said Business School Event. •	Tuesday 26th February – continuation of Said Business School event. •	Tuesday 26th February, 7.30pm – Speaking on “Faith and Culture” at Severn Forum, Cheltenham. •	Wednesday 27th February – Lecture at King’s College London. •	Thursday 28th February - Sociology of Religion lecture (Faculty). Martyn, his family and friends remain deeply grateful for your support, good wishes and prayers. It maybe that some people want to be able to express their support directly to him, and Martyn is happy to see individual supporters at these events.